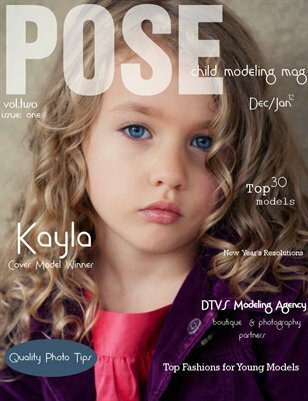 POSE child modeling mag has been REVAMPED. We are now the magazine that reveals the true essence of a young model, creative companies, exposing true visionaries whether behind a camera or in front of one, and global fashion. We even added a little junior fashion help. Check it out The magazine that helps young models to inspire.